Had a real good day on the water with Craig from Y-J Guide Service. I selected Walleye as the target fish because that is what we caught the most of but we started the morning headed up the Arm for Burbot. 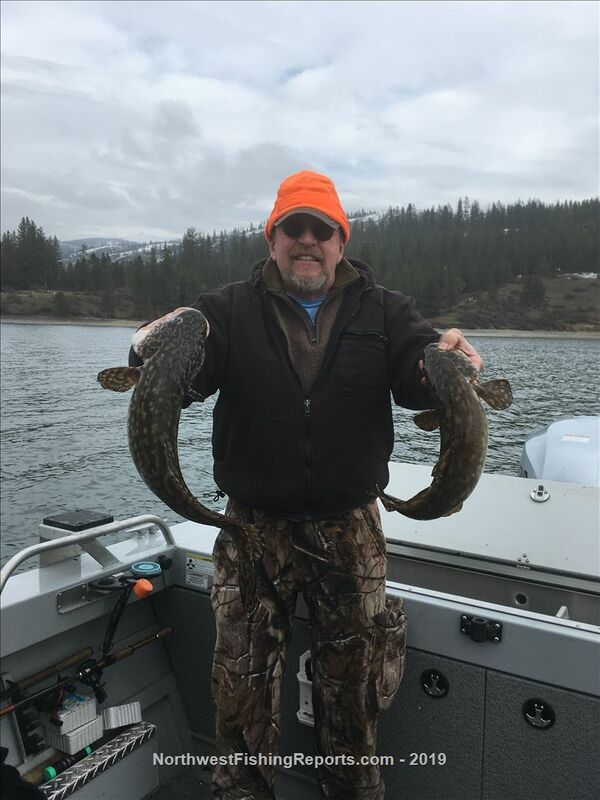 Craig had contacted me a couple of day earlier and let me know that the Burbot fishing was really dropping off if I wanted to bail out. I still wanted to go and learn where some holes are and some techniques and I wasn't disappointed at all. We only managed 3 Burbot but I feel confident to go chase them next year. 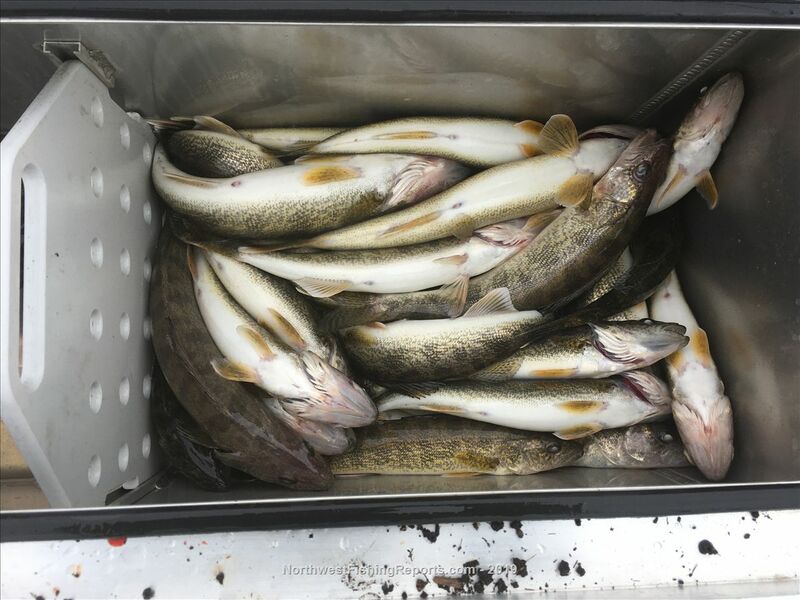 We dropped down river for Walleye and found them right off. Had a pretty steady bite until we quit around 1:30 that was sprinkled with a few period of grabbing one rod right after the other at a pretty brisk pace. Probably caught 40+ Walleye and finished with 2 limits. Most were pretty decent with no really big ones. All in all it was a fun and informative day. I think the day spent with Craig is going to put a lot more Walleye and some Burbot in the Tin Guppy in the future. View other reports from Part-Time. After the disappointing trips for rainbows its good to see you found some fish of some kind. Guess I'm going to have to figure out how to catch walleye. Not really set up well for that. Could use a bow mount electric. You and me both. Craig had one of those big boys that self deploys and had the iPilot and all that. Aside from the many dollars I would have trouble finding a spot for 2 more batteries. The Tin Guppy has a deck so the self deployment feature would be pretty important. Seemed like .7 was the best speed and that's a little tough with my 8hp kicker. Maybe I will take a bucket along next time. 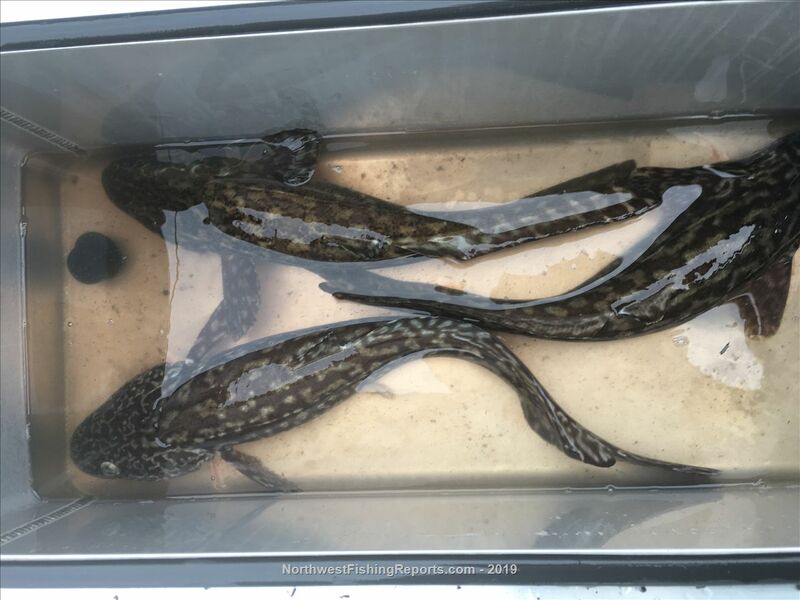 Those are some nice burbot!! Craig is a great guy to fish with and cares you have a good chance at catching your target species. We were not disappointed on our trip with him, happy to see you had a great catching day too! I wish I had a live well. It was just a simple divider, shouldn't be too hard to build. I liked that live well so much I went out and bought one. Darn thing came with a Hewes 190 ET Sea Runner wrapped around it. It's all Craig's fault. Thanks, good to hear from you. Feel much more confident about Walleye after spending a day with Craig and hope to be back there soon myself. Still enjoy the Rainbow/Kokanee fishing with no plans to give it up. Down to the boat show today, hope I don't do something reckless. Glad to see you did well up the Arm. We have been concentrating on the main river so far waiting for the water to drop. Thanks Mark, I saw you're previous report and I think you were getting bigger fish than we did. Maybe the big river will be my next trip. Going to have to warm up a bit right now. Glad to see you got fish Mark....you needed that! Fishing with Craig didn't hurt either. Such a great guy. It will if I have anything to say about it.